Florida is known around the country as a premier golf destination. 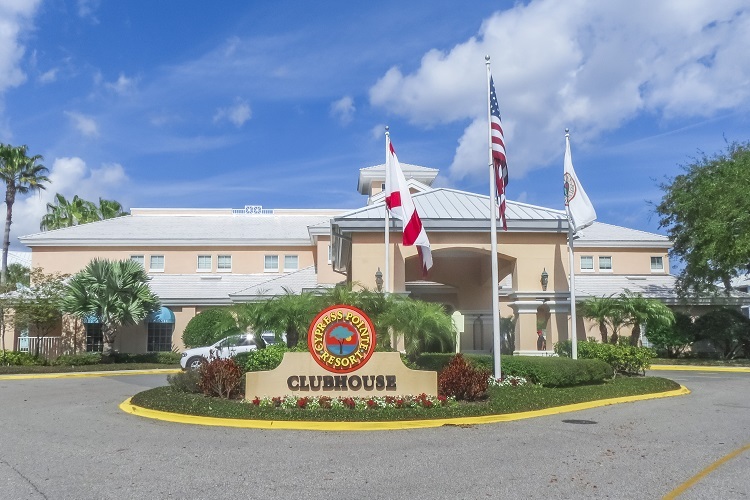 When you stay at Cypress Pointe Resort, you are never further than 15 minutes from some of Florida's best golf courses. This par-72 golf course was designed by Champions Tour player and NBC golf analyst Gary Koch. The Mystic Dunes Golf Club features full course cart paths and EZ Go golf carts with DSG Tag touch screens. The Grand Cypress Golf Club features a variety of courses for players of all skill levels. Each course was thoughtfully designed by Jack Nicklaus, a record-breaking American professional golfer. The 9-hole North, South and East courses provide a test of accuracy. The golf club also features an 18-hole Scottish links course that is a tribute to the famous Old Course in St. Andrews, Scotland. This world-class golf course has hosted the PGA, LPGA and USGA events, Designed by Joe Lee, arguably one of the greatest golf course architects of all time, the course features 18 holes with bunkered greens. Pros and amateurs alike will be challenged by this course, specifically the 7th hole, which features an island green. Designed by father and son duo, Robert Trent Jones Senior and Junior, the 18-hole, par 72 golf course at Celebration Golf Club is a course that truly allows golfers to experience the game of golf. Rated as the 3rd best golf course in the state of Florida, this course is sure to please everyone in your group. The Falcon's Fire Golf Course is a challenging course that stretches across 7,000 acres of land in Kissimmee, Florida, just outside of Orlando. Although this 18-hole course is difficult, there are four different tee options to accommodate both amateurs and top-level golfers. Orlando has no shortage of golf courses, so regardless of your skill level or preference, you're sure to find the perfect place to tee off.